The 22 story Majestic (also known as the Majestic Tower) stands regally on the eastern side of Bal Harbour overlooking the ocean with a position near Collins Avenue and 96th street, itself also known as Kane Concourse. Since 1998 this building and its 153 units have provided a truly majestic living experience that's complemented by the upscale allure of the village it calls home and its beachfront location that turns the building into an everyday resort experience. At the Majestic condo you'll find several spots you can use to play sports, including a tennis court and a half court for basketball. You'll also find an oceanfront swimming pool with cabanas, sauna, a health spa with all of the latest equipment, billiards, a social room and much more. 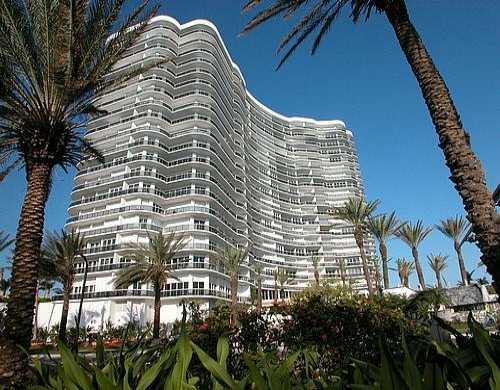 The Bal Harbour condos for sale of Majestic have two to four bedrooms and are available with 2,160 to 4,500 square feet. Ten foot ceilings and expansive balconies only hint at what else awaits inside these upscale residences. If you head west from Majestic via 96th Street/Kane Concourse you'll come across the two land masses of Bay Harbor Islands and eventually reach the Miami mainland. If you'd like to do some shopping close to home you can walk to the Bal Harbour Shops also directly west of Majestic. There is a small commons called Surfside Park to the southwest near the water or you can explore what else is to the south like additional beaches and the city of Miami Beach.